FRESNO, Calif. (KFSN) -- A war of words between the Trump Administration and California has escalated into a lawsuit. One likely to be heard by the U.S Supreme Court--a place that judged a very similar case six years ago. "It is a big case because what you have is the issue of defiance by a state or federal law, that's what the federal government is claiming," said former California appellate justice James Ardaiz. Back in 2012, the Obama Administration won after it sued Arizona for going too far in punishing unauthorized immigrants. In 2018, the tables have turned. The Trump Administration is now accusing California of doing too little. "The Supreme Court agreed, that there is a separation, that the state cannot undermine it, now Sessions is using that argument to flip everything around," said Immigration Attorney Olga Grosh. 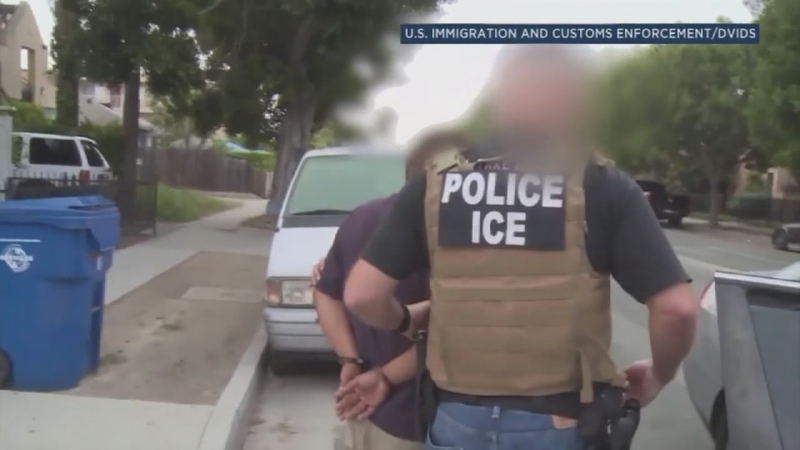 The Justice Department is challenging three parts of California's sanctuary laws, claiming the legislation has made it impossible for ICE agents to do their jobs. Ardaiz says under all the political posturing. The case comes down to a simple point of state versus federal law. "The basic issue is one of federal constitutional law. If they don't take action against California then every other state is going to do the same thing. Which is very serious," said Ardaiz. Ardaiz says there is only one way for California to win their argument in court and that is to prove that their laws do not violate federal immigration law. "Which is a very difficult position to take because generally speaking, federal immigration law preempts nationally," said Ardaiz. Legal analysts say this lawsuit is only the latest volley in the prolonged feud between the president and the state. Last year the state sued the administration for withholding funding from sanctuary cities.